A bonus match! We realize this wasn’t technically a main roster match but we felt like it deserved to be recognized anyway. The 2018 Mae Young Classic as a whole was absolutely wonderful but this match stood out above the rest. Filled with hard-hitting strikes, perfectly-executed technical wrestling, and loads of emotion from both Meiko Satomura and Toni Storm, this bout was the best of the tournament. Seeing Satomura in WWE was a surreal experience, and watching Storm take the next step toward superstardom made for one hell of a moment. This match lasted nearly two hours (!) but the performers somehow managed to keep fans invested for the entirety of the action. This is insanely impressive, especially for us, because long matches aren’t really our thing. Seth Rollins in particular stole the show, defeating both Roman Reigns and John Cena back-to-back, outlasting the competition for over an hour before finally being eliminated. This performance kickstarted Rollins’ hot 2018 and is arguably one of his biggest career highlights so far. Any Finn Bálor//Seth Rollins match is worth the watch, but this one might be the best of the bunch. The last 5-7 minutes of this showdown are a thrill ride filled with fun counters, high-impact maneuvers, and some clever call-backs for fans who dig that kind of thing (we do). Again, how awesome was Seth Rollins in 2018? AJ Styles and Samoa Joe have wrestled each other hundreds of times so working together is probably pretty easy at this point. The two had multiple good-to-great matches in 2018 but this brawl from Super Show-Down was the highlight of their feud. Watching Joe and Styles beat the bejesus out of each other will probably never get old. This feud also birthed the “Wendy” meme that everyone loved for a few weeks, so extra points for that. Ronda Rousey’s very first televised wrestling match was one of the best matches of WrestleMania 34 and the entire year… we all saw that coming, right? In all seriousness, you can’t put together a match better than this one. Everything flowed well, the pace was fantastic, and the live crowd ate up every single thing these four did. Rousey’s 2018, her very first year in the business, was nothing short of outstanding. This match got the ball rolling and sent her off in the right direction with a ton of momentum. This match was our favorite from WrestleMania 34 and truly stole the show, from the moment the entrances began to the final bell. Both Asuka and Charlotte Flair had huge ‘Mania entrances, with Flair paying homage to her cameo in Triple H’s WrestleMania 30 entrance, which also took place in the Superdome. Asuka had to lose at some point, and that first loss happening on the biggest stage in the business against one of WWE’s most talented performers is a hell of way to give that moment significance. Fans have been begging for a good Rumble match for the past few years and in 2018 they got two in the same show. The men’s Rumble was one of our favorites of all time. 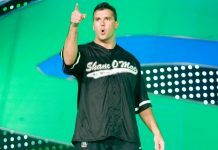 We got fun surprises like The Hurricane and Rey Mysterio, an all-time Rumble performance from Finn Bálor, and an exciting winner that everyone seemed to embrace. Our site is named after the Royal Rumble, our favorite pay-per-view and match type, so the fact that this match isn’t closer to the top spot is a testament to how good the in-ring product was this year. You could make the claim that any one of the next four matches was the best of the main roster last year and we wouldn’t argue with you. The Asuka//Charlotte Flair//Becky Lynch feud was one of the best things WWE produced in 2018, so it’s not a shocker to see a pay-per-view main event featuring the three on the list. Throw in the TLC stipulation, and Lynch’s in-ring return following her broken face, and you’ve got the recipe for an instant classic. Some folks might argue that this match was a repeat of the Brock Lesnar//AJ Styles match from Survivor Series 2017, and that’s not completely false. This one, in our opinion, was just way better. Watching Lesnar destroy Daniel Bryan for the first half of the bout had some fans (including us) thinking that this might be another Lesnar squash. But when Bryan turned things around it was one of our favorite moments of the year. Bryan had said in interviews that Lesnar was his dream opponent and that he knew exactly what he would want to do if the two got to work together one day. Thankfully the two did indeed get to work together and we got a fantastic match out of it that we’ll be talking about for a long time. 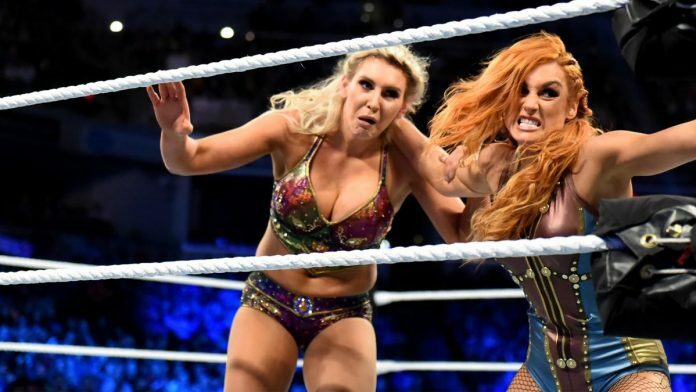 Becky Lynch was WWE’s MVP of 2018 and this performance from Evolution is most likely the biggest and best of her career so far. Watching Lynch grab the brass ring was the most exciting thing to happen in WWE in years and helped establish the women’s division as the hottest thing in the company going forward. Kudos to Charlotte Flair as well, as it takes two to tango, and both she and Lynch absolutely stole the show (and the year) in this match. Regardless of gender, professional wrestling doesn’t get much better than this. After rewatching every single match in contention for this list we came away loving this showdown between Daniel Bryan and AJ Styles the most. We could spend all day trying to describe the abundant technical nuances that made this bout number one, but we can sum things up by saying that this match was perfect. Bryan and Styles have as good of an understanding of how to tell an interesting and engaging story in the confines of a professional wrestling match as anyone who has ever laced up a pair of boots or put on a pair of kickpads. Hopefully the two have a few more classics together before one or both decide to hang it up.